STRIPPER, FLOOR- VINYL TILE ELEC. NOT GOOD FOR CERAMIC FLOOR TILES- per MANUFACTURER. 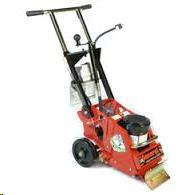 BLADE,FLOOR STRIPPER 6" x 4"
BLADE, ANGLED 10" x 3"x 3/16"
* Please call us for any questions on our stripper floor vinyl tile elec. rentals in Santa Ana and Orange CA.